Diesel Services NZ Ltd is the result of a merger between two of New Zealand’s leading diesel specialists. Diesel Service centre (Papakura) and Diesel Services Auckland merged into one company. 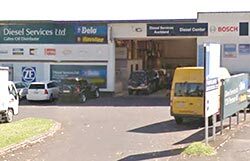 The merger formed Diesel Services NZ Ltd, and we are located in the old Diesel Services Auckland building at 120 Penrose Road, Penrose, Auckland. 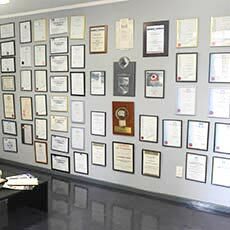 Bringing together both companies we have formed New Zealand’s leading diesel fuel injection specialist workshop, with the best knowledge, best equipment & technology. Our dedicated team of highly skilled technicians are not only experienced but factory trained by the manufacturers on the latest fuel systems equipped on today’s modern diesel engines. 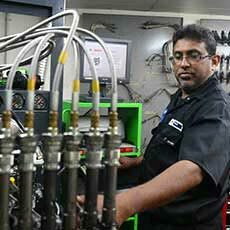 We are authorised Service Dealers for BOSCH, DENSO, STANADYNE & DELPHI, are the only BOSCH DIESEL CENTER in the greater Auckland area, and are also the only Diesel fuel injection workshop to be supported by all the Diesel Equipment manufacturers. To our customers this means we can offer services that are unsurpassed in New Zealand. 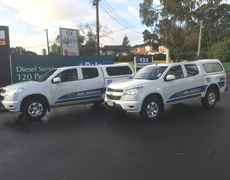 We service & repair all makes and sizes of diesel engines including: Utes and SUV’s, Passenger Cars, Buses, Trucks, Light commercials, Industrial engines, Forklifts, Earthmoving, Marine engines, Generators …and more. We are not just Diesel Service. Diesel Services NZ is a authorised ZF service partner for ZF Truck & Bus Automatic transmissions and manual gearboxes. 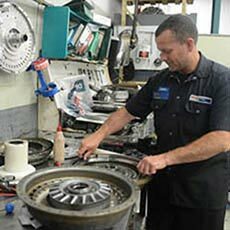 With our comprehensive range of ZF diagnostic equipment, we can diagnose or solve many problems on the vehicle, or if required we can rebuild all models of ZF Auto, ZF Manual gearboxes and ZF AS-Tronic transmissions in our specialist transmission repair facility. We are also a authorised ZF service partner for ZF Marine transmissions and gearboxes. From the smallest sail drive unit right up to large frame gearboxes used in super yachts and commercial vessels, we can repair them all. We offer on vessel diagnostics and servicing, including removal, refit and sea trial if required. There is more, Diesel Services NZ is also your authorised repair centre for the full range of Webasto Heater products. Whether your heater is fitted in your Campervan or in your Boat, we have Webasto trained technicians available to remove, repair and refit the heater for you. Bosch Diesel Centre, repairing Bosch diesel injection, including the latest Common Rail products. Delphi Diesel Service Dealer, repairing Delphi diesel injection equipment, including the latest Common Rail products. Denso Diesel Service Dealer, repairing Denso diesel injection equipment includingt he latest Common Rail products. Standyne Diesel Service Dealer, repairing Standyne fuel injection equipment. Steinbauer agent, Providing performance upgrades for your diesel engine. Webasto Diesel Heating, Sales and Service for both water and air heating. Zexel Diesel Service Dealer, repairing Zexel fuel injection equipment. Authorised ZF service partner for Heavy on Road New Zealand wide.